Kontrol Energy, a leader in the energy efficiency market has been making headlines lately. Energy efficiency is a $2 trillion market that is rapidly expanding worldwide. According to the IEA, energy efficiency is the fastest growing energy market globally. On March 25/19 Kontrol Energy announced a monumental deal with Toyota Tsusho Canada Inc. (TTCI) to offer smart factory technology solutions to OEMs in the automotive industry. Adding Toyota to Kontrol’s already impressive list of customers including recognized Canadian large cap companies like CapREIT (TSX:CAR.UN), Suncor (TSX:SU) and government bodies. This new partnership will not only enable Toyota to lower its operating costs through the integration of Kontrol's Internet of Things (IoT) hardware and software solutions. According to the agreement, Kontrol and TTCI intend to establish a joint venture company. This JV company will provide technology solutions and services to multiple OEMs in the automotive sector to optimize production and manage energy. Specifically, Kontrol will design and provide monitoring software, quality assurance and technical support to TTCI and its customers, as well as design and install building automation systems and heating and ventilation equipment, while TTCI will procure the customers, conduct engineering and installation and after-sales services with customers. The term “smart factory” refers to various fully-integrated automation solutions adopted for manufacturing facilities. A fully optimized factory can provide a competitive advantage to OEMs seeking to reduce their overall operating costs and improve their profitability. According to MarketsandMarkets.com, the smart factory market is expected to reach USD 358.01 Billion by 2023. Auto manufacturers are looking for new innovative ways to reduce operating expenses such as energy in order to increase their bottom-line. Working in partnership with a global industrial leader such as Toyota Tsusho will provide Kontrol with an opportunity to scale their smart factory technology solutions across a large global customer base. Toyota Tsusho Corporation ("TTC") was founded in 1948 as the trading company for the Toyota Group. Today, TTC is a highly diversified company with seven operating divisions and more than 1,000 subsidiaries and affiliated companies. Auto manufacturers are not the only companies looking at energy efficiency as a means to drive down costs. Many cannabis cultivators are also looking for new efficiencies to lower their cost and to maintain odor compliance which has become a major issue with local communities. . We highlighted these issues in the cannabis vertical in our recent article titled “Can Shares of Kontrol Energy Increase 200% in 2019”. Kontrol Energy’s subsidiary ORTECH Consulting has expanded its operations to include odor compliance and energy efficiency services. On Monday Mr. Paul Ghezzi stated “We have labs to scientifically test for various VOCs and then provide the turn-key solutions to install advanced filtration and other critical systems required. We are well positioned to add new customers in the Cannabis industry and grow our footprint in this significant new market”. As the cannabis market matures in Canada, we expect Kontrol will continue securing contracts in the cannabis market. Kontrol has demonstrated consistent revenue growth, which earned it the honour of recently being announced as the 7th fastest growing startup in Canada by Canadian Business and Maclean's. Kontrol is showing no sign of slowing down, guiding for a $16 million run rate by year-end 2019, with a 5 year goal of reaching $100 million in revenue. Management and directors of Kontrol Energy collectively hold approximately 49 percent of the small 29 million shares outstanding. Forward looking, when/if Kontrol obtains their $100 million revenue target, at an industry fair valuation of 5x, the market cap would be $500 million. With the current share structure the approximate share price would equal $17 a share, which is 2100% higher than today’s valuation! Operating in the global wireless infrastructure market, which Grand View Research, Inc., anticipates to value $116.75 billion USD by 2025. Additionally, working alongside notable large cap companies such as Facebook (FB:NASDQ), MTN and Spacecom. NuRAN Wireless has solidified themselves as a technology company to watch! NuRAN Wireless with its wholly owned subsidiary Nutaq Innovation, is a leading supplier of mobile and broadband wireless solutions. Its innovative GSM and LTE radio access network (RAN) and backhaul products dramatically drop the total cost of ownership for mobile network operators, thereby creating new opportunities for mobile network operators and internet service providers. 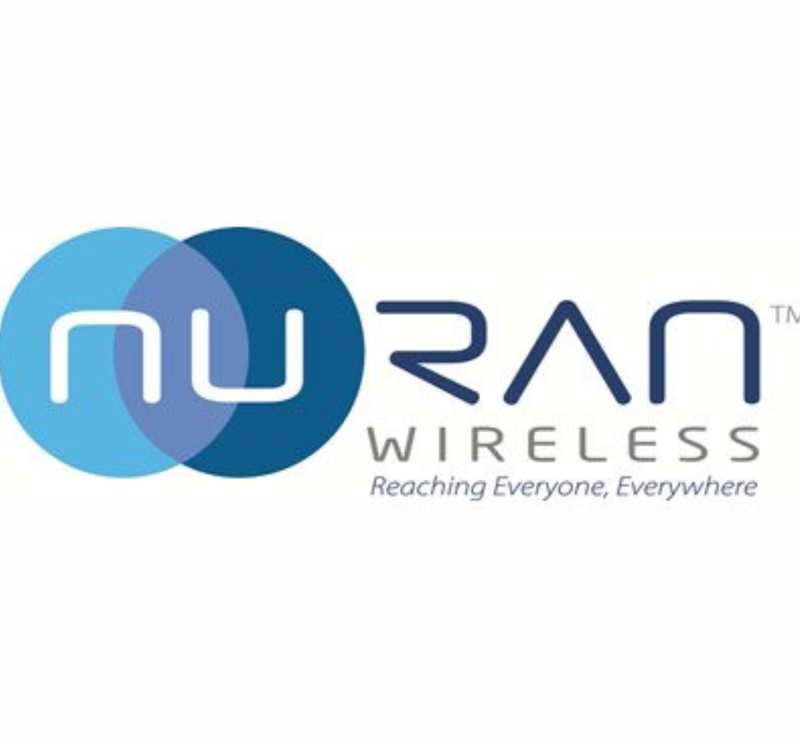 According to the NuRAN Wireless MD&A, NuRAN’s WIS solutions are currently being tested by MNOs and community organizations in more than 20 countries in South-East Asia, Africa, South America and Mexico. These test deployments and the numerous partnerships established with tier-one MNOs continue to grow their sales pipeline, which consists of over 50 opportunities totalling over CAD $200 million of possible revenue. On January 8th, 2019 – NuRAN was granted a US Patent on its proprietary 5G Massive MIMO technology. The Canadian patent was already announced on April 12th, 2018 therefore locking in the entire North American market. The fact that NuRAN has patents in this space is quite impressive. The global 5G network infrastructure market is expected to have a CAGR of 70% during 2016-2023. The net market revenue is projected to reach up to $28 billion. 5G technology can add up to approximately 34% in the telecommunications sector by 2026,. Furthermore 5G has gained popularity with investors as the technology is necessary for the future development of driverless cars, IoT and augmented and virtual reality. We expect the NuRAN to start monetizing these assets in the near future, possibly becoming a service that will be sold to other mobile operators for their integrations in to the 5G systems. Last week, NuRAN Wireless announced that the company has added an industry expert in the telecommunications industry Mr. Babak Fouladi. Mr. Fouladi currently serves as Chief Technology and Digital Officer for KPN, a landline and mobile telecommunications company based in the Netherlands. Mr. Babak Fouladi has held many senior roles in the telecom industry including: Chief Technology and Information Systems Officer at MTN, the biggest telecom operator in Africa and one of NuRAN’s current partner. Mr. Fouladi also held positions as Chief Technology Officer of Vodafone Spain and Romania and was Vice-President for Ericsson. CEO of NuRAN Wireless Martin Bédard stated: “We expect this addition will further strengthen NuRAN’s marketing and sales strategy, as well as increase NuRAN’s visibility throughout the telecom industry.” We believe this new addition to NuRAN’s board will definitely increase the Company’s exposure in emerging markets and should definitely convert into more contractual wins for the company. With a recent private placement closed 35% above current market price and 30 days since Managements return from Mobile World Congress in Barcelona, we look forward to the proceeds from attending this large event and to witness what the addition of the new board member will produce for NuRAN Wireless. ParcelPal is an interesting cannabis related company with a share price that has seen a recent rise. ParcelPal offers on-demand delivery of merchandise from leading retailers, restaurants, medical marijuana dispensaries and liquor stores in Vancouver and soon in major cities Canada-wide. On March 14th, ParcelPal announced that its has signed a cannabis distribution agreement with Kiaro, a cannabis retailer based in Vancouver. CEO of ParcelPal stated “Our objective is to become the Uber of cannabis in Canada and this takes us one step closer to our goal.” This new partnership will allow ParcelPal to delivery cannabis products to Kiaro customers within an hour. This fast delivery system and age verification process will allow medical cannabis consumers of appropriate age to order their cannabis in a fast and efficient manner and not have to worry about “driving high” to the store to get more cannabis or drive drunk for more alcohol. ParcelPal signed a strategic partnership with MADD Canada, further cementing the Company’s objective to provide delivery options to the cannabis consumer base Kiaro is the second cannabis retailer which ParcelPal has signed with for distribution. In September 2018, ParcelPal signed its first cannabis distribution agreement with Choom Holdings Inc, (CSE: CHOO) (OTC: CHOOF) which operates retail recreational dispensaries. Deliveries should begin shortly through PKG. An interesting piece of information investors should pay attention to is the recent Streetwise article which stated “Here it is worth pointing out that ParcelPal is in discussion with some of the heavyweights in the business like Aphria (TSX: APHA) Canopy Growth (TSX: WEED) and Organigram (TSX-V: OGI) (it is not known specifically which companies) who are likely to select ParcelPal to deliver their products for the same reasons as Choom, although they are obviously on a much larger scale.” We find its funny that Streetwise’s article would include the major players but would omit Aurora Cannabis (TSX: ACB) as a probable candidate. The market place is a place of speculation, and if we were to speculate that ParcelPal is in discussions with major licensed producers in Canada, we would suspect Aurora to be one of the majors in the mix, since ParcelPal already has a distribution agreement with Choom Holdings. It would make sense for Aurora to sign an agreement with ParcelPal since Aurora already holds an equity stake in Choom Holdings Inc. If this does transpire, shares of ParcelPal are sure to surge dramatically. ParcelPal also announced a major achievement on March 21st when the company stated that it had completed more than 2 million deliveries. Furthermore the company stated in its press release that the company’s delivery initiative with Choom and Kiaro is set to commence in April and stated (further details will follow). This statement tells us that there will be additional news to come, these developments should serve as a near term catalyst for investors. We believe this cannabis vertical with Kiaro and Choom Holdings will only increase the number of deliveries for ParcelPal and we look forward to the company announcing new milestones. Forward Looking Statements: This article may contain "forward-looking information" (as defined in applicable Canadian securities legislation) that is based on expectations, estimates and projections as of the date of the content is published on this website. Wherever possible, words such as "anticipate", "believe", "expects", "intend" and similar expressions have been used to identify these forward- looking statements. Information in this article has been furnished for your information only, is accurate at the time of posting, and may be superseded by more current information. Except as required by law, we do not undertake any obligation to update the information, whether as a result of new information, future events or otherwise. This article should not be considered as personal financial advice. Full Disclosure: The company Kontrol Energy Corp. is a paid client of Equity Insight. Directors of Equity Insight may buy, hold or sell the securities before during or after this publication. The company NuRAN Wireless Inc. is a paid client of Equity Insight. Directors of Equity Insight may buy, hold or sell the securities before during or after this publication. The company ParcelPal is not a paid client of Equity Insight. Directors of Equity Insight may buy, hold or sell the securities before during or after this publication.